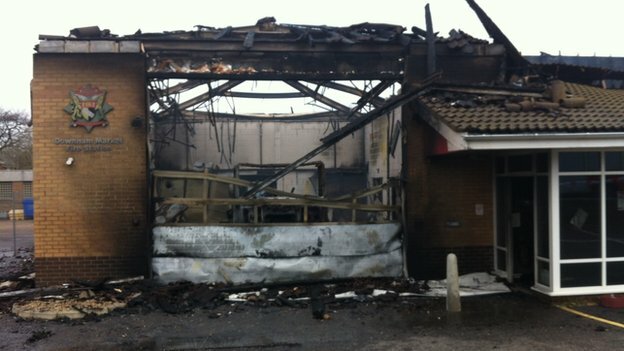 A Norfolk fire station gutted in a blaze that destroyed a fire engine was not fitted with sprinklers or alarms. Norfolk's deputy chief fire officer Roy Harold accepted the service should have followed its own advice. 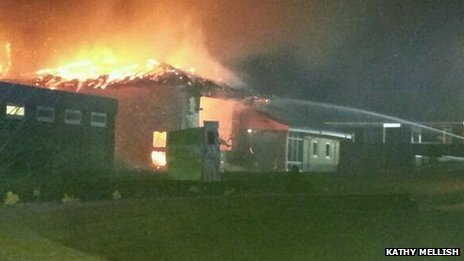 It started in the bay where the station's fire engine was housed and crews from other areas were called to help tackle the flames. 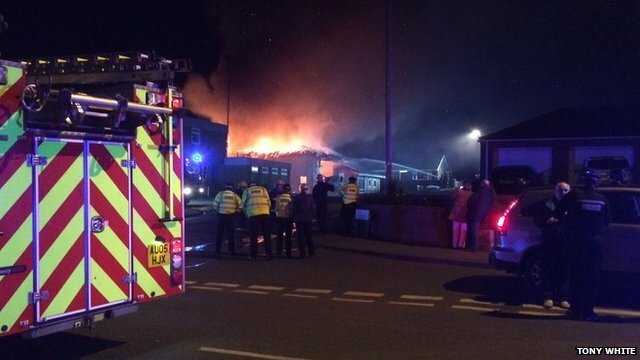 A new fire engine costs about £250,000 and a new fire station could cost about £1.5m, he said. Watch manager Kim Scotney said: "The rest of the crew are dumbfounded. "It hasn't quite sunk in properly, but at the end of the day nobody was hurt." "In the future, we will be looking into the potential to sit down with colleagues with Norfolk Constabulary and discuss future arrangements which may be eligible for some sort of funding from central government," he said.